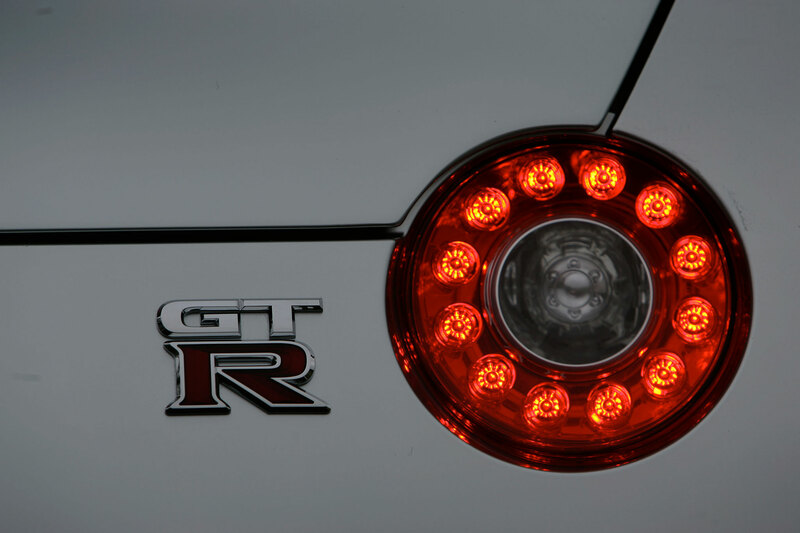 The Nissan GT-R is not warm and cuddly. 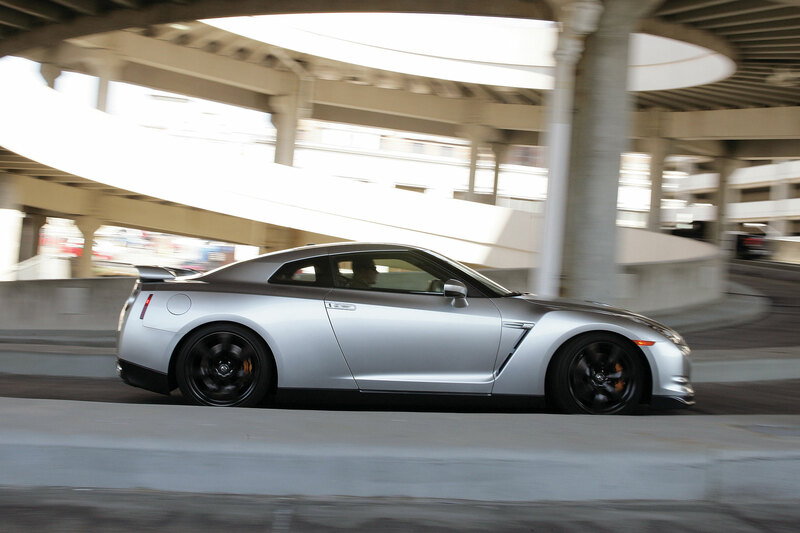 Perhaps that’s to be expected of a car widely known as Godzilla. 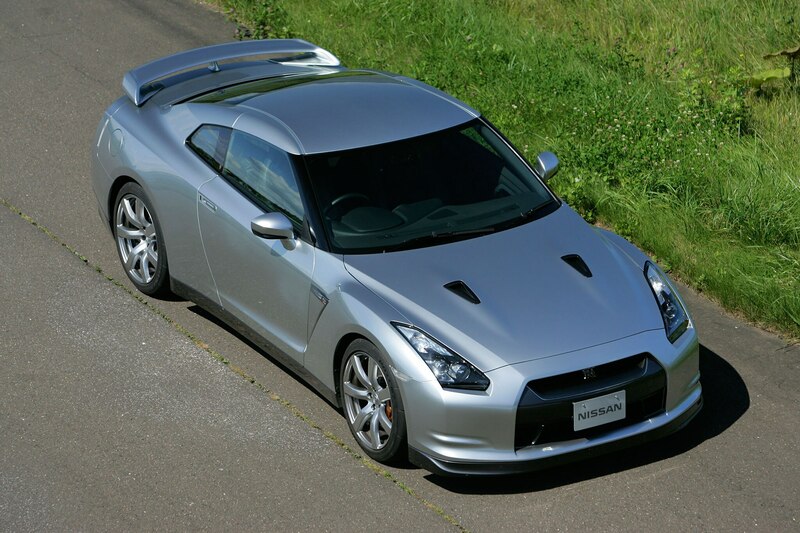 The GT-R’s fearsome legend grew during the years it was sequestered in far-off Japan, but its awesome prowess came to be known worldwide thanks to its long-running feature role in the Gran Turismo video game series. 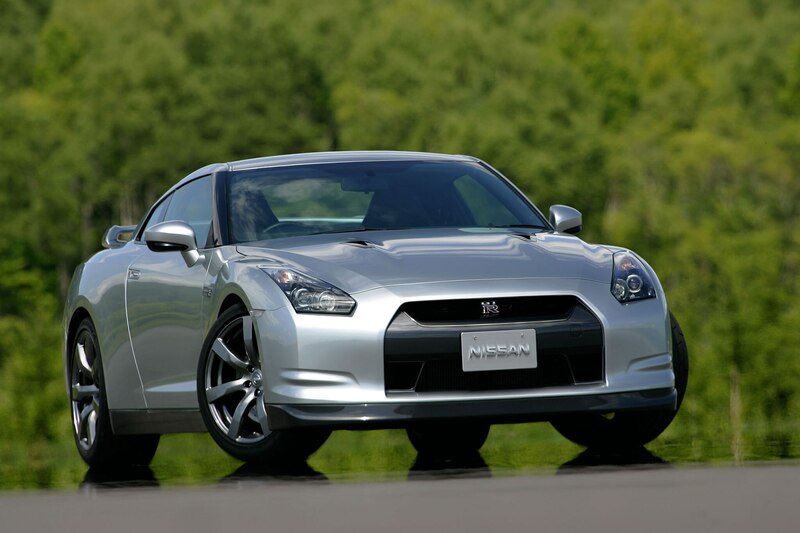 Finally, the GT-R’s international stardom proved so great that Nissan developed the sixth-generation model for a worldwide market, including North America. This story originally appeared in the August 2010 issue of AUTOMOBILE. 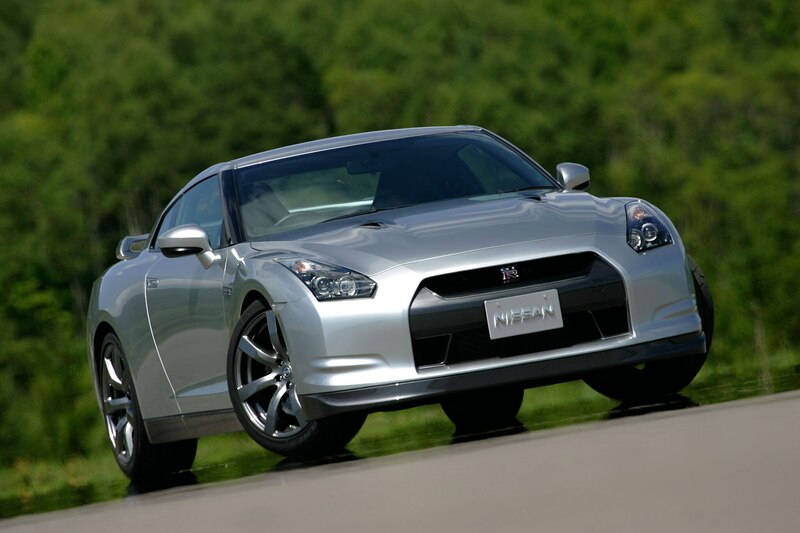 With the arrival of the 2017 Nissan GT-R fresh on our minds, we decided to take a look back at the original version of Godzilla. Godzilla finally reached our shores in 2008. Once we tried it for ourselves, we couldn’t help but be impressed — very impressed. Maybe a little awestruck, even. After all, here was a car that could outrun Porsche’s mighty 911 Turbo and beat a 911 GT2 around the Nürburgring (where the GT-R’s development engineers admittedly spent a lot of time). In the somewhat less renowned environs of southern Ohio, at our annual Automobile of the Year testing, the GT-R easily walked away with our top award in a rare unanimous decision. 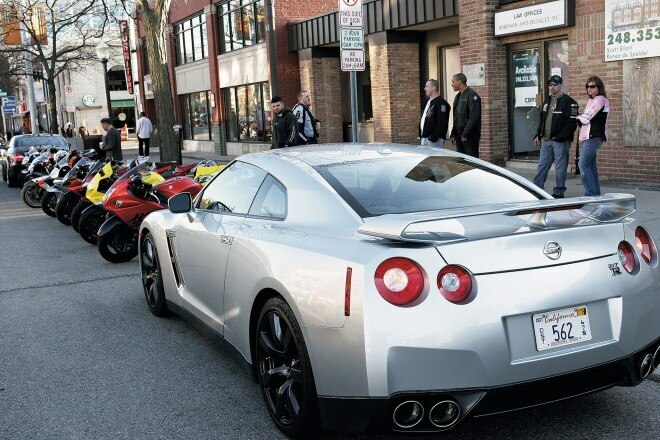 It may be big, but the GT-R can run with sportbikes from its home country. You might particularly want to stay out of its way when its accelerator pedal is mashed to the floor. 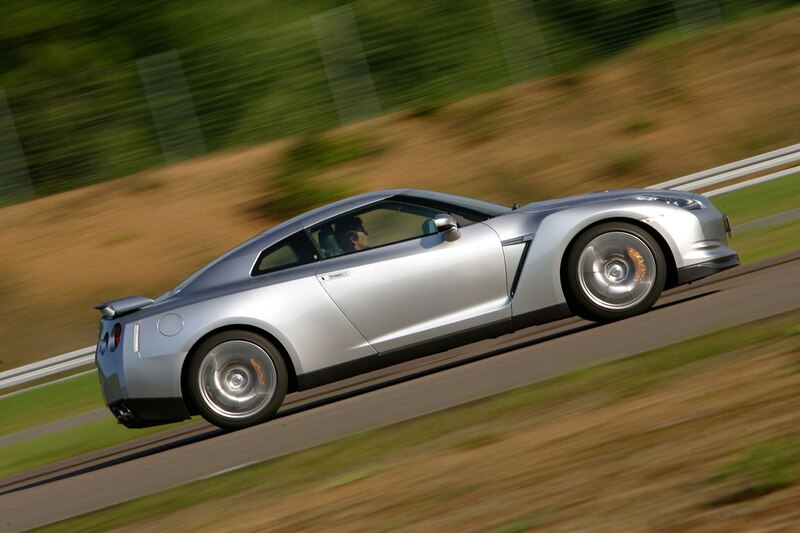 The GT-R is just devastatingly, frighteningly fast. 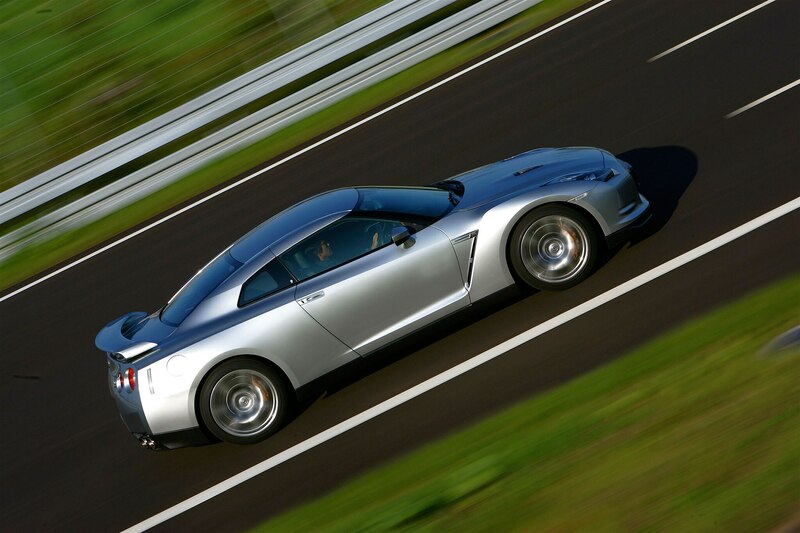 Try 0 to 60 mph in 3.4 seconds and 0 to 100 mph in 8.0 seconds. Top speed, not that we had much chance to explore it, is 193 mph. That’s true supercar territory. 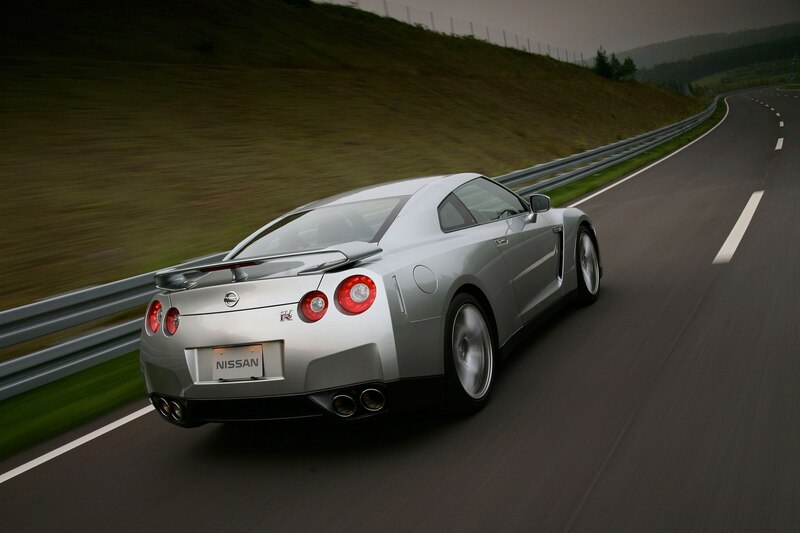 As in its previous three generations, the GT-R’s motivating force is a six-cylinder engine bolstered by two turbochargers. The DOHC, 24-valve 3.8-liter V-6 is handbuilt and shares no major parts with the company’s mass-market VQ V-6. 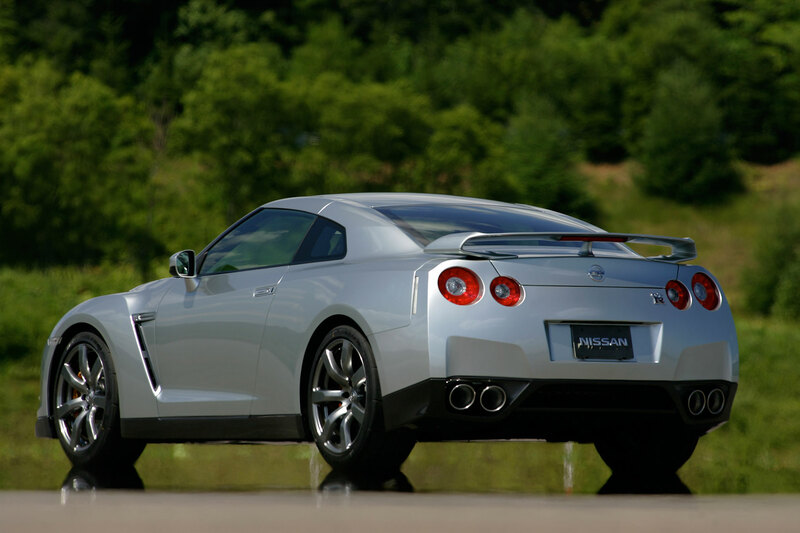 Our 2010 model’s output is a staggering 485 hp at 6,400 rpm (five more ponies than the ’09-model GT-R) and 434 lb-ft of torque (up from 430 lb-ft) at 3,200 rpm. Hold on tight to these reins. 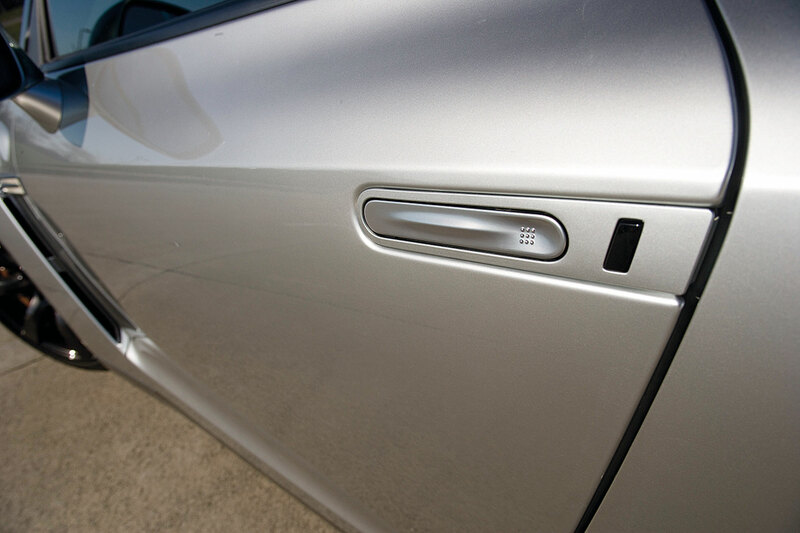 Aluminum door handles add a degree of specialness. 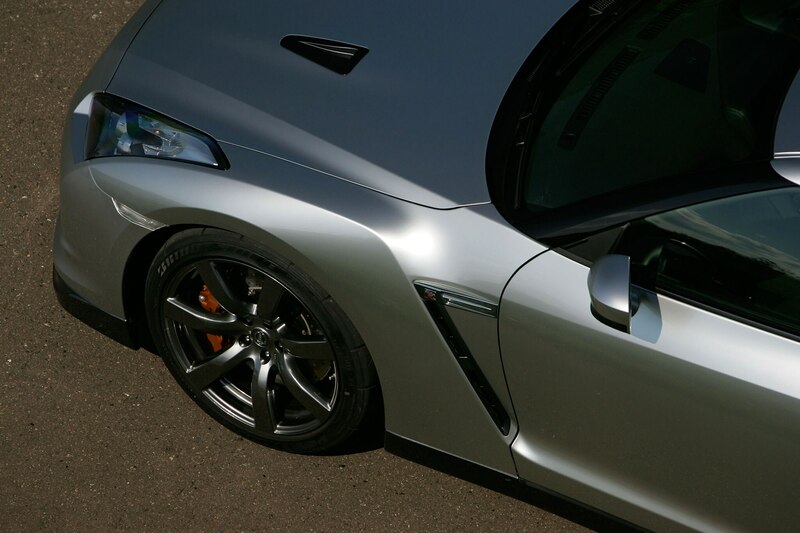 When our GT-R’s factory-fitted Bridgestone summer performance tires wore out (at 17,000 miles) right on the verge of snow season, we decided to put a set of Pirelli Sottozero winter tires on the car. They helped make the GT-R incredibly sure-footed in the snow. Best of all, though, the snow-covered roads provided a window into the car’s all-wheel-drive system. With some setups, it’s impossible to guess where the power will go, but the GT-R’s all-wheel-drive system is beautifully transparent. 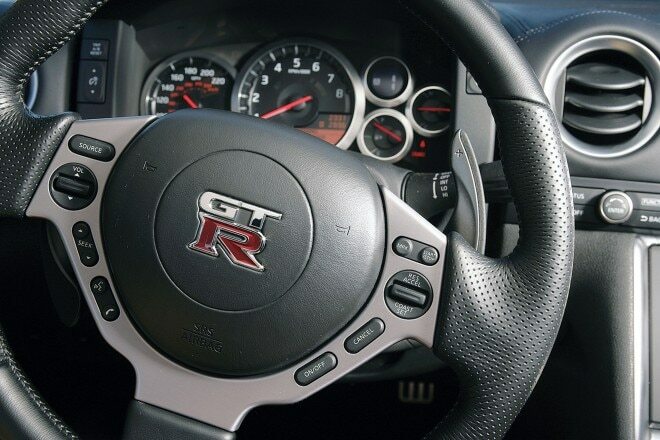 Switch off the stability control, and the GT-R drifts like a rear-wheel-drive car that’s impossible to spin. Add more throttle, and it will send the power directly to the rear, helping rotate the car. Stay constant on the gas pedal, and the power gradually is sent forward but only enough to bring the back end in slowly. The third element in the powertrain triumvirate is, of course, the transmission, and here the news was less rosy. Sure, the headline number of 0.2 second to execute a shift is impressive and, because this is a dual-clutch gearbox, shifting doesn’t interrupt power delivery, so you can bang off upshifts or downshifts in the middle of a curve without upsetting the chassis. 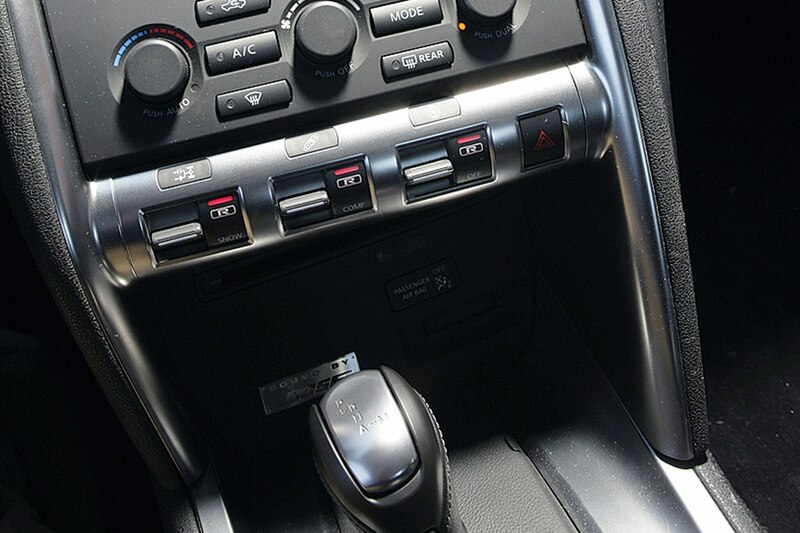 Nonetheless, we couldn’t help but think we’d enjoy this car so much more with a manual transmission. Alas, a stick shift is apparently too old-tech for the GT-R (and likely would be lost on its intended audience anyway) and is not offered. 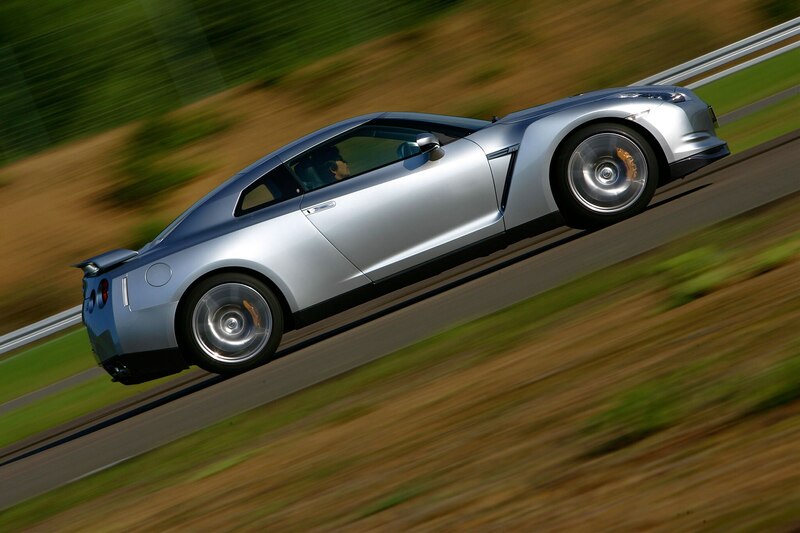 It would, however, add an element of driver involvement that the GT-R could sorely use. 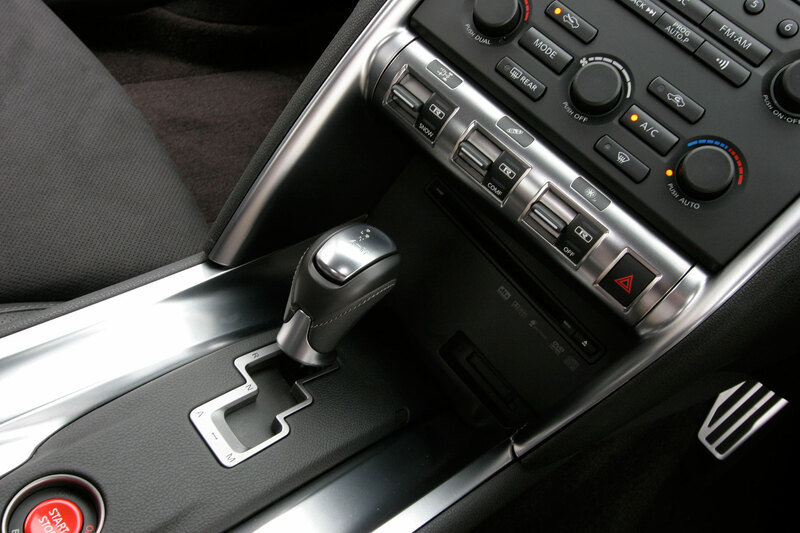 And even the most neophyte manual-transmission pilot would be smoother than this gearbox when pulling away from a stop. It’s also noisy and painfully slow to engage drive and reverse, particularly in cold weather. 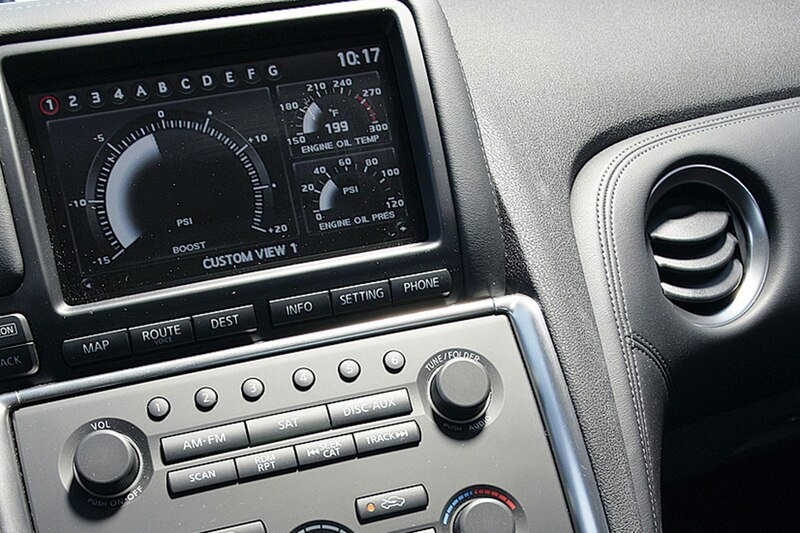 The infotainment screen can display performance data such as boost pressure and much more. Of course, Michigan’s nasty winters flatter few cars, but the GT-R seemed to suffer more than most. Not only did the gearbox hate the cold, the suspension couldn’t come to terms with the winter-ravaged pavement. The comfort mode was small comfort, as the GT-R slammed into every pothole. 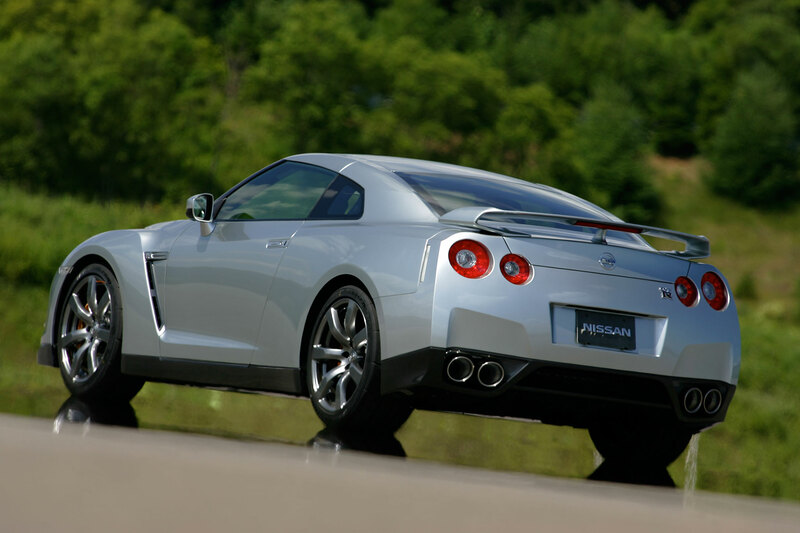 Nissan apparently agrees that, even for an extreme machine, the GT-R’s ride is overly stiff, as the company has retuned the rear suspension for better ride quality in 2011 models. Next, the chassis engineers might want to address the tramlining. 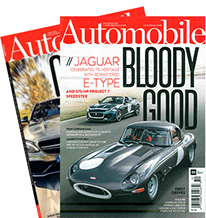 “The GT-R takes every bump, rut, and pothole as a direct steering input,” said associate editor Eric Tingwall, in one of many logbook comments on the subject. 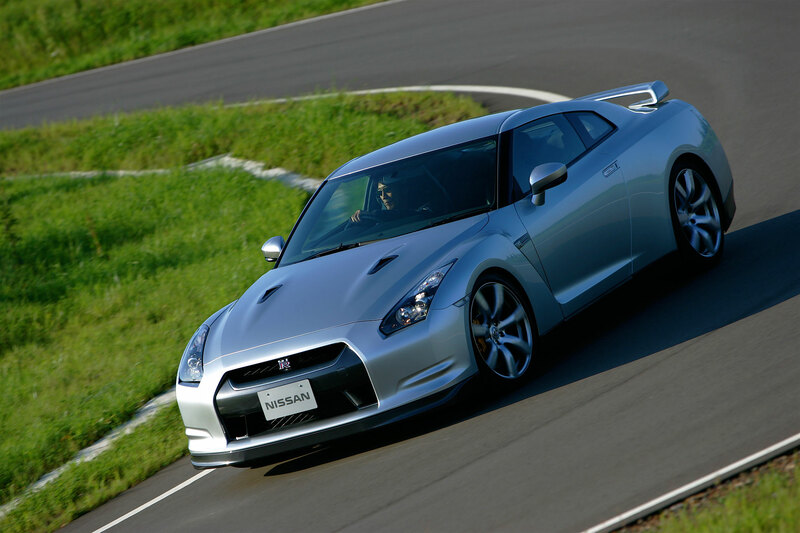 The issue is likely made worse by the GT-R’s ultrawide tires and hyperquick steering, although the latter helps make the car responsive in turns. 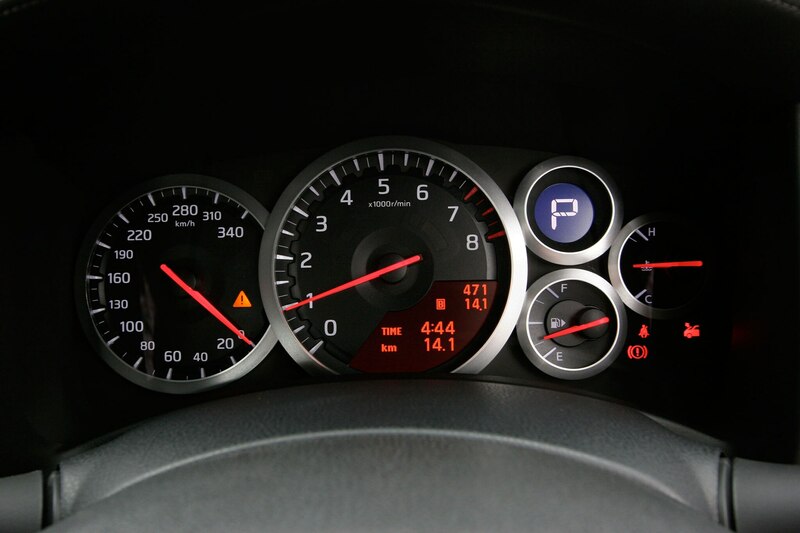 The steering is also very precise at the straight-ahead position but not very communicative. Rear seats are cramped, but thrill-seekers didn’t mind. 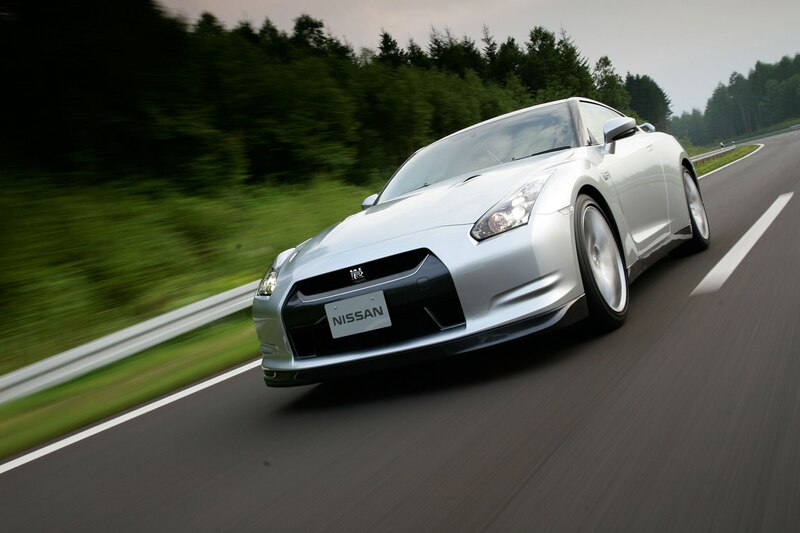 While Nissan may be a mainline manufacturer, the GT-R certainly exists at the tippy top of its price ladder. 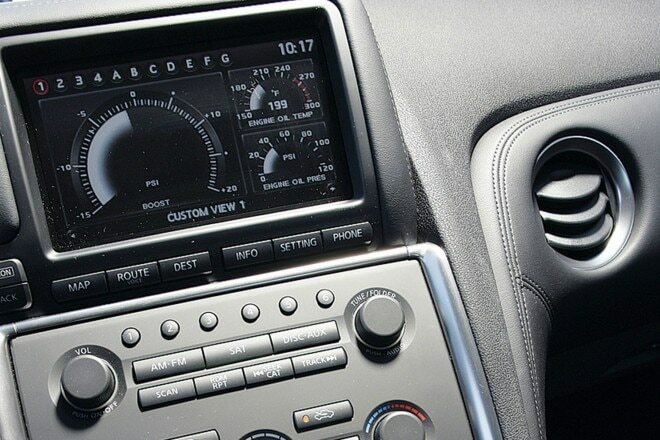 Our Premium model (which adds heated seats, an 11-speaker Bose stereo, darker-colored wheels, and Bridgestone summer tires to the base spec) started at $84,040 including destination. 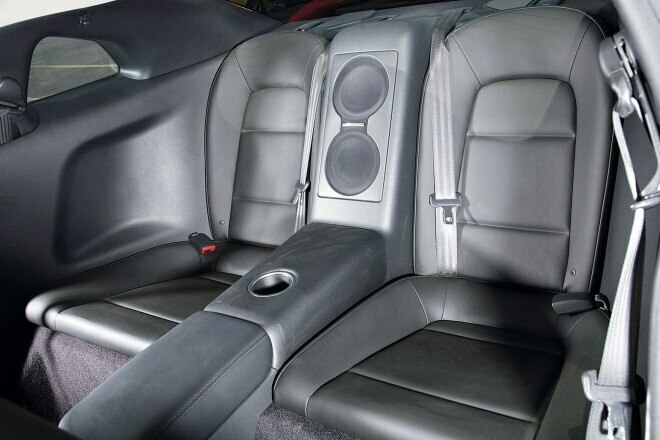 To that we added super silver paint and floor mats, the only two extra cost options available, bringing the total to $87,320. For 2011, the base trim is gone, and the Premium version’s price has crept up to $85,060. 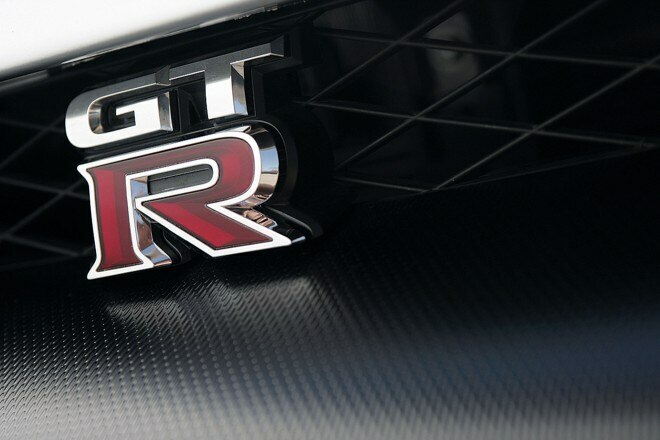 The GT-R can slay pedigreed European sports cars costing tens of thousands more, however, so the car’s sticker price may still be a relative bargain. 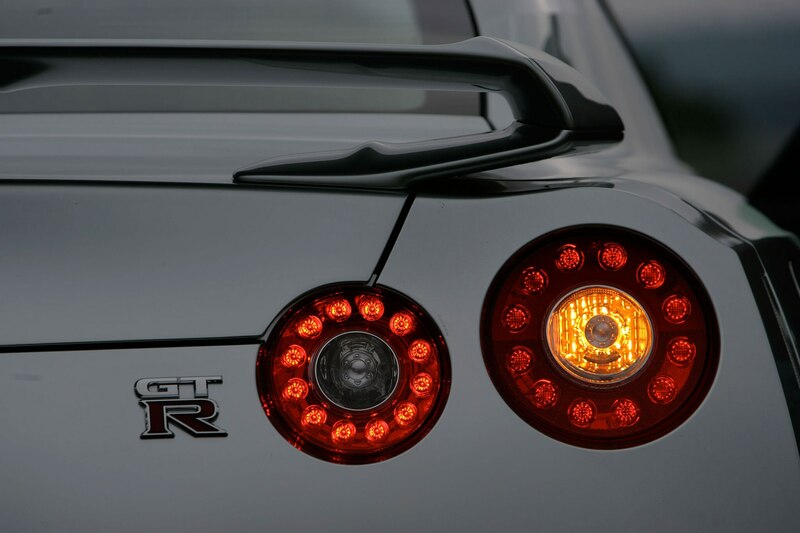 However, we found that when it comes to maintenance, the GT-R is a much closer kin to its supercar competitors than to other Nissans. Oh, sure, it started out acting very much like a Nissan, trouble-free and inexpensive to maintain, at least until the 18,000-mile service — the one that requires fluid changes for both differentials and the transmission, ballooning the tab to $1,900. We had also by this time used up the brake pads (all four), which necessitated changing the rotors as well. Total cost: $7,705.94. 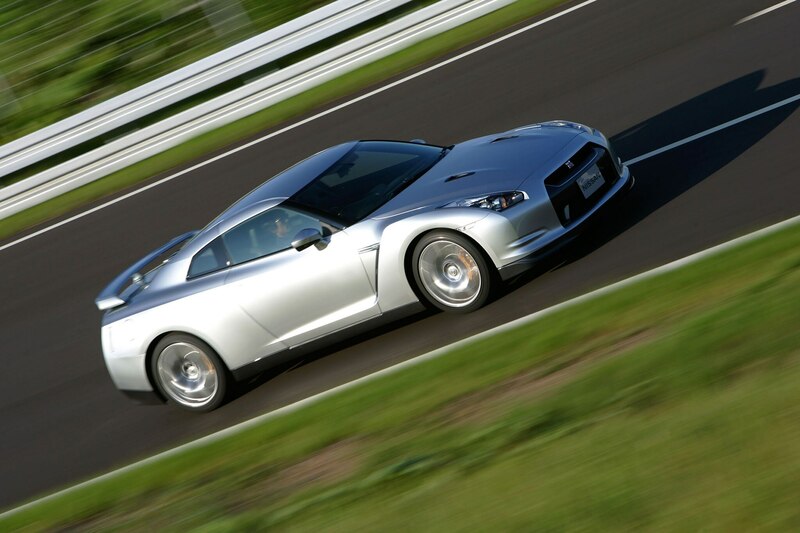 Luckily, there was no charge to fix the driveline vibration occurring between 2,200 and 2,700 rpm; it was caused by an errant bearing inside the bell housing, a known issue with some GT-Rs. The fix required removing the engine and kept the car sidelined for a few weeks. 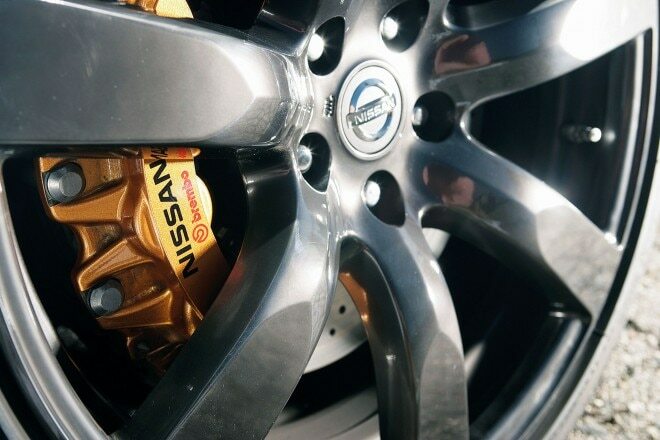 Our GT-R spent more than its fair share of time in the dealer’s service bay. A brake job cost more than $7700. 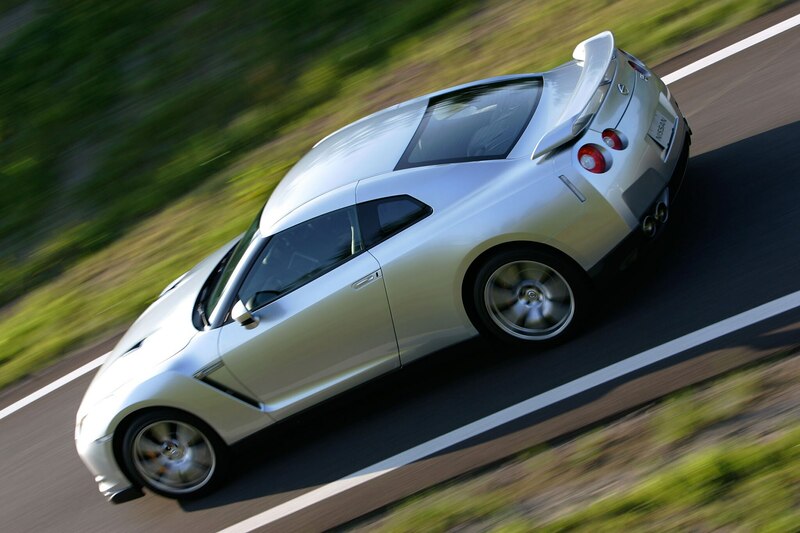 There is no denying the GT-R’s abilities, but there’s also no denying that this car is off-putting in many ways: the brutal ride, the tiresome tramlining, the cacophonous sound track, the trust-the-chips computer-controlled demeanor. 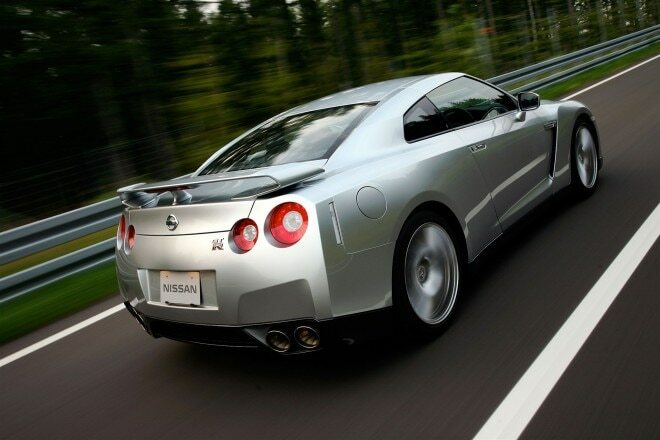 As Floraday put it, “It’s tough to find a car that’s faster than the GT-R, but it’s very easy to find cars that are more fun and engaging to drive.” For Godzilla’s legions of fans, such esoteric considerations may not register, but that’s the difference between experiencing this superstar on an electronic screen — or on a racetrack — and living with it in the real world. Russian-based DragTimesInfo keeps cranking out videos of modified exotic and sports cars racing to the end of the one mile strip. How can you go wrong with a three-lap race between some of the world’s greatest sports cars?